From 21st – 27th October 2017, Danliris’ in-house brand bateeq participated in Jakarta Fashion Week (JFW) 2018. Themed “Bhinneka & Berkarya” (Diverse & Productive), the 10th annual organisation of JFW featured fashion shows from Indonesian and international designers as well as brands in addition to talk shows on fashion. At the event, Bateeq conducted three fashion shows in collaboration with Indonesia Fashion Forward, Adidas, and UBS Gold. 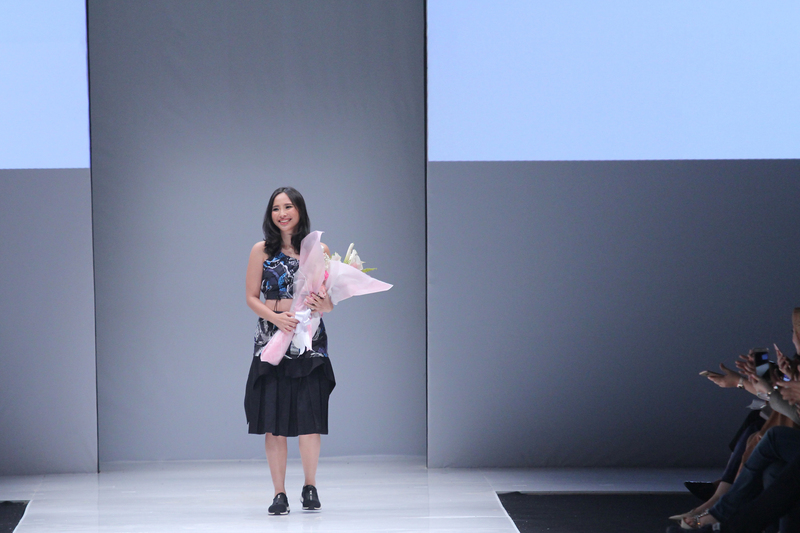 Present at Jakarta Fashion Week was bateeq’s CEO and Creative Director Ms Michelle Tjokrosaputro, who presented the brand’s ready-to-wear collection for Spring/Summer 2018 entitled “Padusan”. The name of the new collection refers to a traditional ritual of cleansing oneself with water which is performed before Ramadhan. As such, the collection showcases batik motifs and colour schemes symbolising water, rivers and the sky; including matirta, mega mendung and fish motifs. As Indonesia and specifically Jakarta has become a major fashion hub in the regional and international market place, Jakarta Fashion Week is taking on increasing prominence in the global fashion calendar. Through its fashion shows, collaborations and the showcasing of its latest collection, Danliris’ bateeq is bringing its unique and inspiring mix of contemporary fashion and traditional batik to the attention of the international fashion industry.